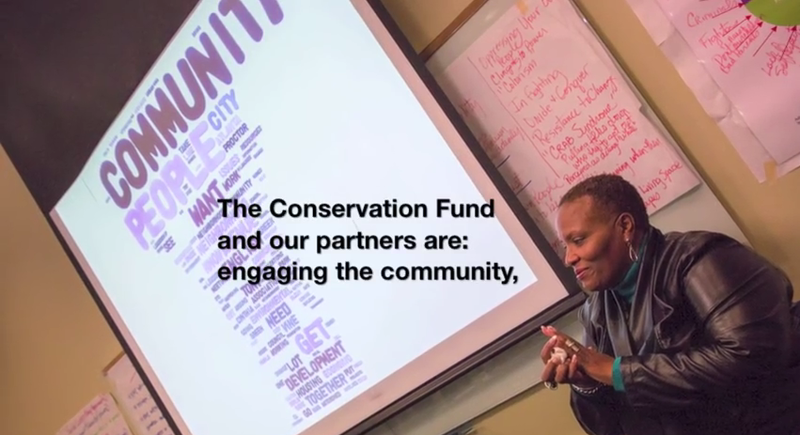 In collaboration with The Conservation Fund, HERCULES’ partners have been working with the Proctor Creek communities. Partners include West Atlanta Watershed Alliance, Community Improvement Association, Proctor Creek Stewardship Council, Eco Action, and many more working with Greening Youth Foundation in the workforce training component of this collaboration. A recent short video put together by The Conservation Fund highlights the training and work of four young men from the community who currently are working on the team building the first park in English Avenue. Their work will expand later this year as they work on the development of the Vine City Park in a nearby neighborhood.